Be part of the celebration of the second anniversary! On both days the rituals will start at 12 o’clock noon with a havan. 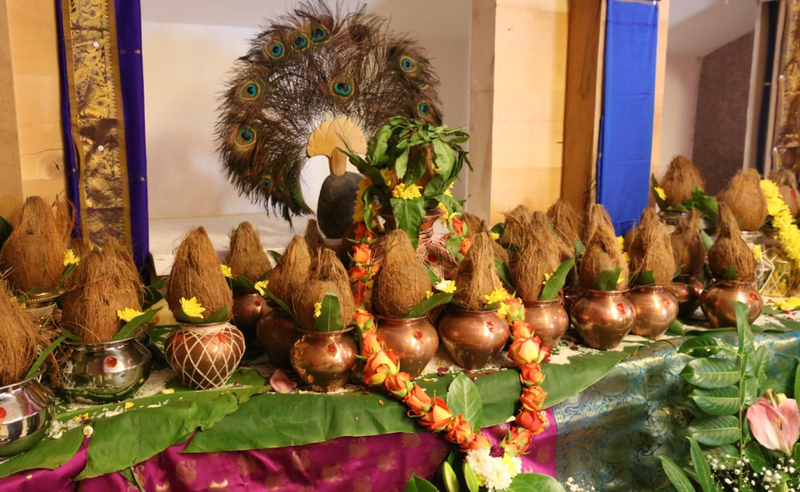 On Saturday much of the worship will be to Nandi and on Sunday there will be a great kumbum puja to all aspects residing in the temple. We will be very happy if you would like to arrive a little earlier like on Thursday for the celebration of Dassera and to be part of the preparations for the weekend. The ashram is located high in the mountains at 1800 m.a.s.l.. At this time of the year the weather can already get very cold. The havans will take place outside. Please bring warm clothing and read the information about visiting and getting there. Cars must be left at the public parking areas further up at a walking distance to the ashram of about 30 minutes. You can stay at the ashram or in one of the hotels down in the main valley (Hotel Arflina will be closed at that time). We are looking forward to seeing as many of you as possible! Come for a day or join the entire celebration. Please register your visit.